Are you into meditation or yoga, or know someone that is? 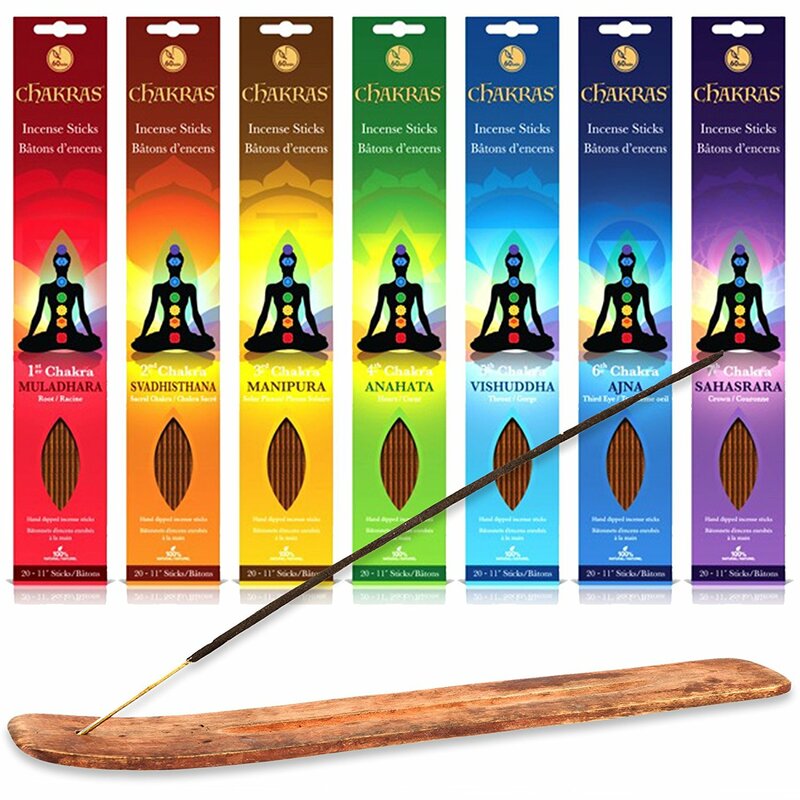 Chakras Incense Sticks are perfect to gift to yourself or someone you know. This is a set of 140 sticks that burn for 60 minutes each, plus a wooden burner. 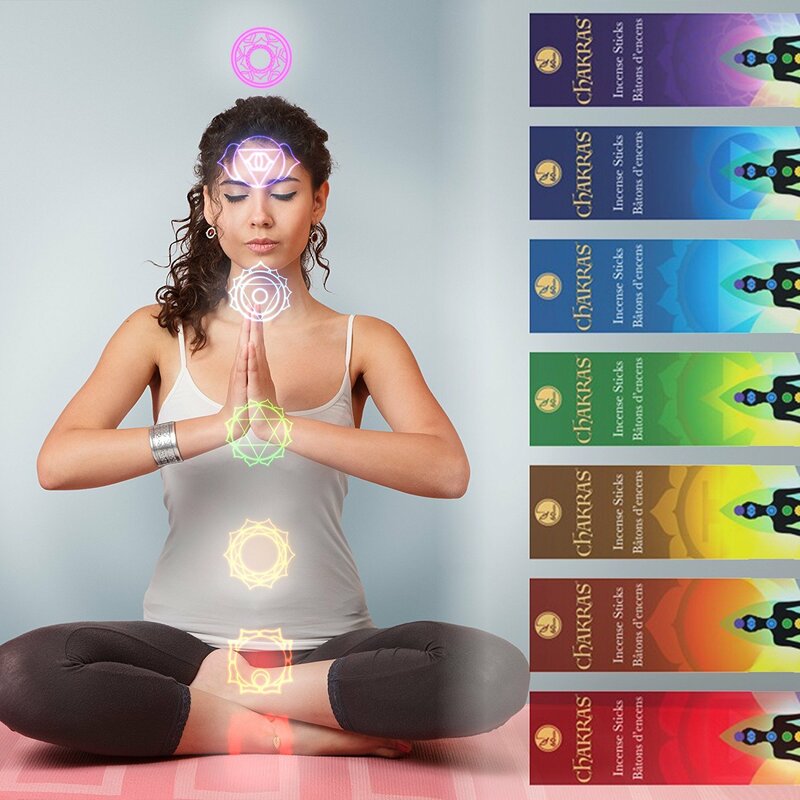 There are 7 different scents, one for each Chakra. Muladhara is the base Chakra, and is located at the base of the coccyx. It forms the border between animal and human consciousness. It is linked to the unconscious mind where our actions and experiences from past lives are stored. Svadhisthana or Sacral is the second Chakra, it is located above the pubic bone and below the navel. It defines how we connect with others,how we choose relationships and what they mean to us. Manipura is the third Chakra, and is located at the navel. This is your power Chakra, your Core-Self ,it is where your will , power, and assertiveness come from. Anahata is the fourth Chakra, and it is located at your heart. It is the wellspring of love, warmth, compassion and joy. Vishudda is the fifth Chakra, is the first of 3 spiritual Chakras. It is located in the throat area, and it involves the area where heartfelt feelings and intellect form a verbal symphony. Ajna is the sixth Chakra, also known as The Third Eye Chakra. It is located between the eyebrows just above eye level. It is the Chakra of intuition and clarity. Sahasrara is the seventh Chakra and is located at the crown of the head. It is the Chakra that integrates all the Chakras with their respective qualities. 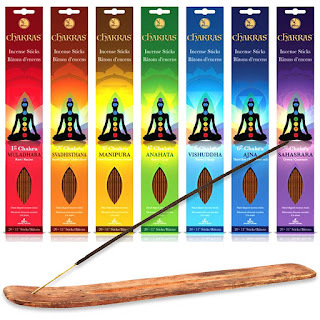 This incense set is perfect for those who practice yoga, meditation, or just want to enjoy the benefits of aromatherapy in their environment. Each stick is 100% natural and hand-dipped, and burns for 60 minutes.